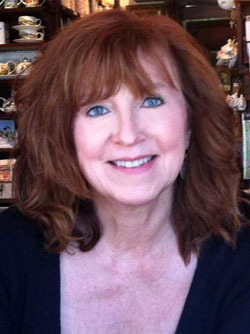 We boomer women love to travel whatever the season, don’t we? And when we do, experiential travel ranks high on our list. Adventure travel has its place. But you don’t need to heli-ski down mountain slopes or sign up for the Iditarod to engage with the local culture – unless you want to, of course. 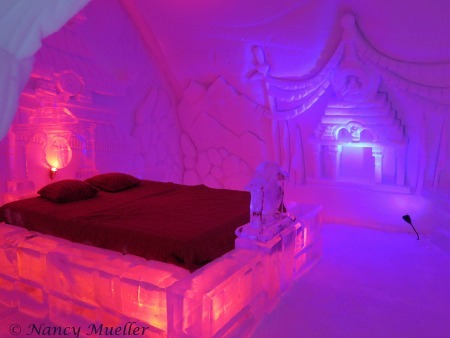 1) Stay cool at Quebec City’s Ice Hotel. Enjoy magnificent snow sculpture displays set within the incandescent beauty of a winter wonderland. Sure, you can simply stop by the hotel bar or take a guided tour of the site. But for an unforgettable experience, stretch your comfort zone with an overnight stay. Soak in the outdoor hot tub under a canopy of stars, then spring for a themed suite of myths and legends from around the world. While your bedding rests on a block of ice, you’ll keep plenty warm inside the sleeping bag and liner provided by the hotel. 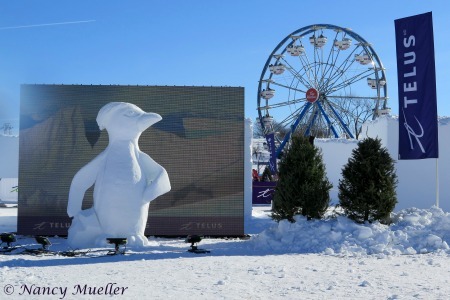 2) Get out and play at Quebec City’s Winter Carnival. After your stay at the Ice Hotel, head into Quebec City where you can celebrate winter with sleigh or dog-sled rides, snow tubing, snow shoeing or ice-skating among the Quebecois. For the real party hardy, try the ice slides or a snow bath in your bathing suit. Three dips in the snow does it for bragging rights to friends. Naturally you’ll want to check out the local food scene while strolling through Old Quebec. Add a guided walking tour to take in the city’s architecture, history and culture, including stops at the Citadel and newly renovated Fairmont Le Chateau Frontenac. 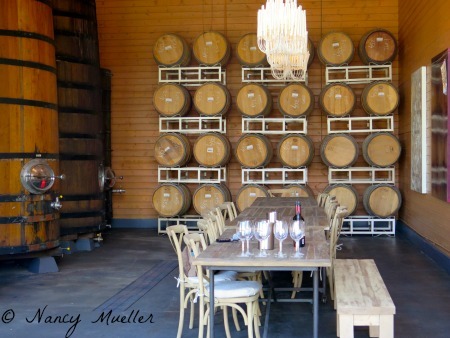 3) Follow the Okanagan, BC Wine Trail. Why not plan a winter wine festival getaway where you can wander through an alpine village for a progressive wine tasting after a day of skiing? Or settle in with a glass of mulled wine after your moonlight snowshoe tour? Discover which wines pair best with the season’s ultimate comfort food, like grilled cheese sandwiches and chocolate. British Columbia’s Okanagan Valley hosts three seasonal wine festivals – Winter, Spring and Fall – each with its own signature events. 4) Go chase the Northern Lights. For one of nature’s most magical aerial displays, the Aurora Borealis (commonly known as the Northern Lights) paints a spellbinding scene. Imagine shimmering skies brushed in palettes of pale yellows and florescent greens with shades of blue, red and violet. For best viewing, head to remote regions away from city lights, like Fairbanks, Alaska, Northern Canada, Iceland, Norway, Finland and Sweden. There’s no guarantee you’ll catch the ephemeral lights show, but you increase the odds when you book a visit December through March. 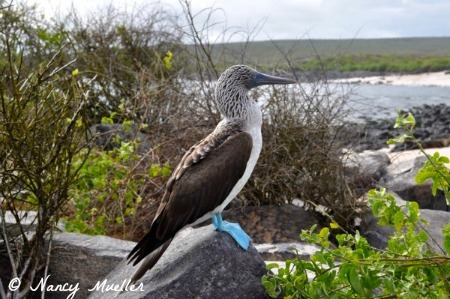 5) Cruise the Galapagos Islands. If your idea of winter fun doesn’t include snow, cold or ice, consider a cruise to the Galapagos, one of the few remaining sites on planet Earth where it’s possible to not only observe, but to walk among wildlife in their natural habitats, both on land and sea. Remote. Pristine. Other-worldly. While there’s no better or worse time to visit the island chain off the coast of mainland Ecuador, water visibility is at its peak December – March. Snorkel with hammerhead sharks and sea lions, go whale watching for humpbacks, or marvel at the wonder of blue-footed boobies and marine iguana on shore. Thanks to Tourisme Quebec, Thompson Okanagan Tourism Association and Quaser Expeditions for hosting. What’s your favorite winter getaway, wanderboomers? Where are you head this winter? We are staying put in Phoenix, ArizoNa! We’ll be off on our favorite winter getaway once again this year – Umbria Jazz Winter in Orvieto! 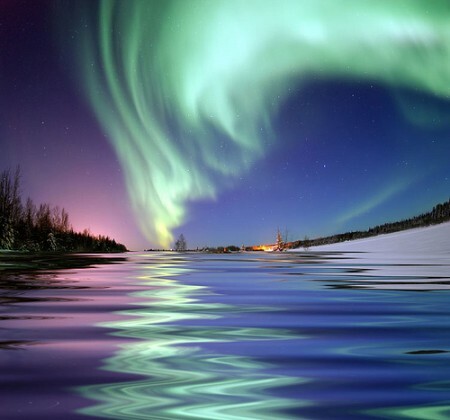 I love your idea of the northern lights – definitely on my list! Sounds lovely, Anne! Mind if I join you :-)? I can tell you’re a warm weather kind of gal, Carol! 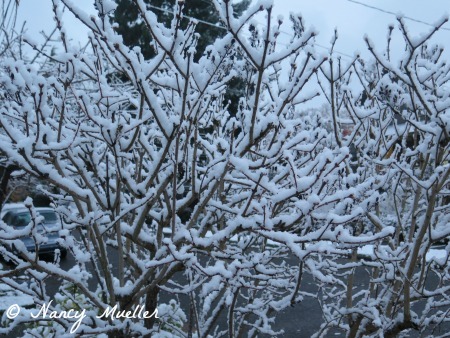 Can’t entice you to take a snow holiday, hmm?